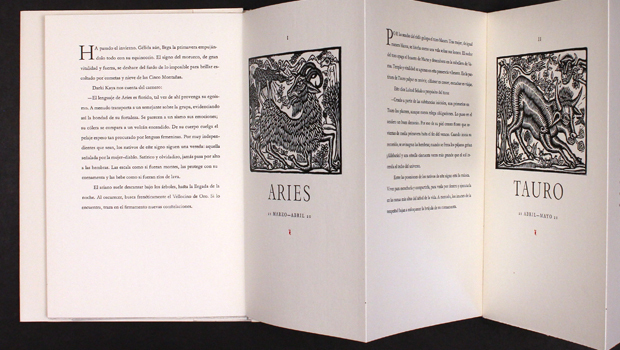 "Los Signos Del Zodiaco", published by Juan Pascoe's press Taller Martín Pesacdor, will be on display. 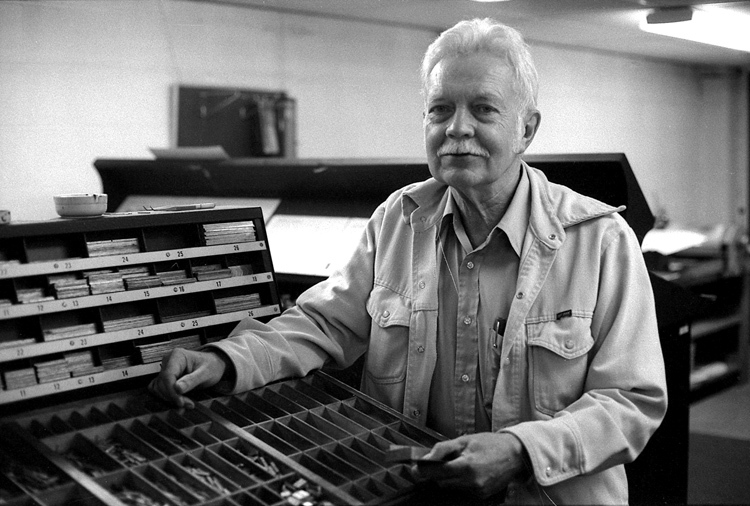 OMAHA – Two concurrent art exhibits will celebrate the 100th anniversary of Harry Duncan’s birth – a nationally recognized letterpress printer and poet who taught at the University of Nebraska at Omaha (UNO). From Friday, Jan. 15, 2016 through Feb. 11, 2016, the UNO Art Gallery will showcase Duncan’s influence in poetry publishing and letterpress book typography. Books and broadsides by publishing presses founded by students and apprentices of Harry Duncan will be on view. At the same time, the UNO Criss Library will display the work of Duncan’s UNO students in the library’s Osborne Family Gallery. An opening reception is set for Jan. 15, 2016 from 4:30 – 6:30 p.m. in the Weber Fine Arts Building’s lobby. Visitors are encouraged to visit the library gallery before the reception, as the library closes at 5 p.m. that evening. A collection of Juan Pascoe’s hand-printed broadsides and books will highlight the Art Gallery’s exhibit. Pascoe worked with Harry Duncan in West Branch, Iowa, in the early 1970s before Duncan moved to Omaha. Today he is heralded as the finest hand printer in Mexico. A video showing his work and workshop will be on view with his printed works. Books by other printers will also be on display, including K.K. Merker, Kay Amert, Doyle Moore, Allan Kornblum, Neil Shaver, Denise Brady and others. This exhibit will also serve as the publication event for “All Along the Fence,” an unbound portfolio of poems edited and organized by Denise Brady and Harry’s son Guy Duncan, in tribute to Harry’s work. -Aldus in Omaha, a lecture by Michael Peich about Duncan’s classical typography. -All Along the Fence, a poetry reading and letterpress roundtable.